UEFA Champions League Group D is the least glamorous of the eight pools but it throws up the best bet in the first batch of matches because Galatasaray should be shorter odds to get the better of Lokomotiv Moskva in Turkey on Tuesday. 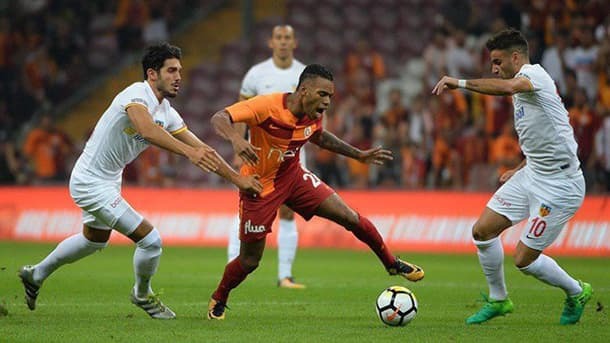 Galatasaray is top of the Turkish Super Lig following five rounds, Cimbom have won each of their three home games this term and they welcome a Lokomotiv Moskva team without its key striker, Fyodor Smolov, due to his suspension. Smolov joined Lokomotiv Moskva last month after starring up front for Krasnodar for three years, topping the Russian Premier League scoring chart twice in that time. Smolov is a major absentee for Lokomotiv Moskva and it is not as if the Red and Greens have begun their Russian Premier League campaign well even with him leading their line. Lokomotiv Moskva is 10th on the Russian Premier League ladder and, based on expected goals, the Red and Greens should be eighth, which is low for a side seated at the UEFA Champions League table. Neither Galatasaray nor Lokomotiv Moskva has featured in the UEFA Champions League for many seasons but they have landed in a good group because, with all due respect to Porto and Schalke, they are not legitimate title contenders and spots in the last 16 are up for grabs. Traditionally, Galatasaray at 17/20 1.85 -118 0.85 -1.18 0.85 with Bet365 is strong at home and Lokomotiv Moskva have come up short away to moderate Russian Premier League sides this term. Group C of the UEFA Champions League houses three giants in Liverpool, Napoli and Paris Saint-Germain and Tuesday sees the Reds and PSG lock horns at Anfield in what promises to be a cracker. Liverpool and Paris Saint-Germain have each won five out of five in their respective domestic leagues, with the Reds laying down a big marker with their 2-1 road victory over Tottenham on Saturday. According to expected goals, Liverpool has fully deserved to win each of its five English Premier League matches and the Reds were very good value for their defeat of Tottenham in which they had a xG of 2.98 compared to a 0.79 xG for Spurs. Jurgen Klopp won trophies at Dortmund and it is looking increasingly likely that he will add silverware to Liverpool’s collection. Liverpool reached last season’s UEFA Champions League final and the Reds got there with a home record of five wins and two draws from seven games. Home advantage in UEFA Champions League matches is greater than it is in domestic games and Anfield really is a special place to be on a European night because The Kop acts as a 12th man for the Reds versus a visiting Paris Saint-Germain team without its new regular goalkeeper, Gianluigi Buffon, and midfielder Marco Verrati. The betting market on the UEFA Champions League Group D game between Liverpool at 13/10 2.30 +130 1.30 1.30 -0.77 with Betway and Paris Saint-Germain points to most bookmakers rating the Reds as slightly inferior to PSG but one takes issue with that assessment. Liverpool’s attack may be too hot for Paris Saint-Germain’s defence to handle. One does not make a habit of backing UEFA Champions League travellers, especially at odds on, but there is a class gap between Club Brugge and Dortmund at 3/4 1.75 -133 0.75 -1.33 0.75 with BetVictor in Belgium on Tuesday. Club Brugge is 6-1-0 in the Belgian First Division A but the Blue and Blacks were 0-1-7 in their eight UEFA Champions League games in the previous two terms and the Blue and Blacks met Istanbul Basaksehir, Kobenhavn, Leicester and Porto in those European fixtures. Dortmund has been the better side in each of its three German Bundesliga matches and, with UEFA Champions League Group A featuring three strong teams and Club Brugge, it is important that the Yellow and Blacks kick off with an away success.